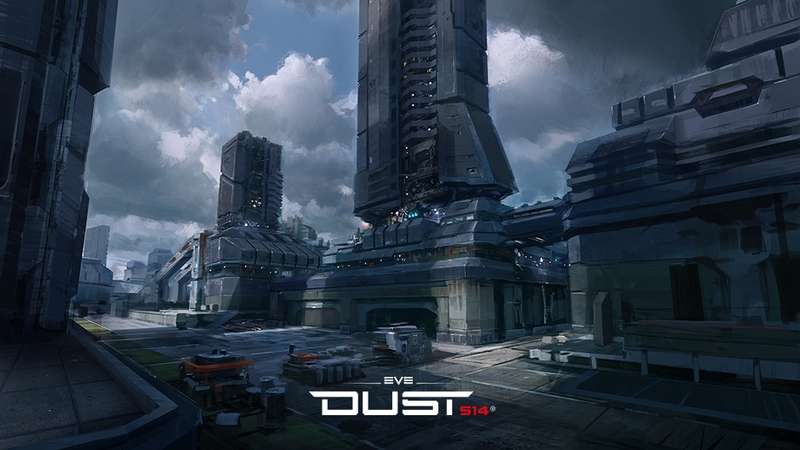 DUST 514 Wallpaper section is now updated with a brand new entry featuring Incarceration Complex concept art! Check out our wallpapers section to download this piece in various sizes. We hope you like it! I can see the possibilities with a map like this in game. Gotta admit that looks like a pretty cool almost urban map. Camp central seems like a perfect name for it. "The Wrath of God is Immense. His Justice is Swift and Decisive. His Tolerance is Limited." If maps like this will come to Dust.. I wonder how much time 16v16 people will seek each other there. Oh **** dudes, you saw that fighter? Damn the tank burns, Scout right in the ally, blow him up... air strike, R-U-N!!! I could continue like this but let us wait until it goes live. Looks like quite a different environment to the usual zones we have. Interesting. And a prison complex hey? Nice CCP. I'm pretty interested in the idea that these installations can be turned into essentially jailhouses. Who are we imprisoning? Why? Are the attackers trying to free the prisoners? Is it a personal thing? Would it be for money (should be)? Or is it all just a concept? Good questions, good playstyle possibilities, good reasons to make it happen. Go Shanghai, go! like putting an objective under each high building like every other map? Get out! Eject! Escape from the prison planet! The pic is good and all but with a map like tht will change the way of dust.